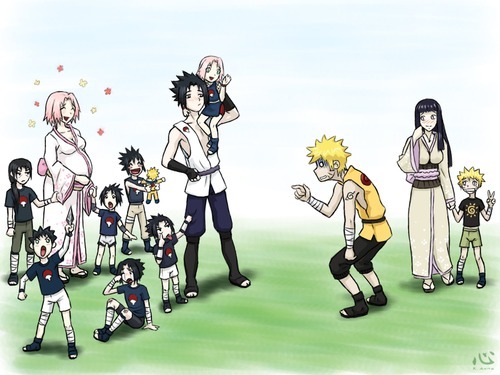 SasuSaku and NaruHina (and children). . Wallpaper and background images in the Naruto Couples ♥ club tagged: photo naruto character pairing love couple uzumaki hinata hyuga sasuke uchiha sakura haruno shinobi. This Naruto Couples ♥ fan art might contain guichet and wicket.